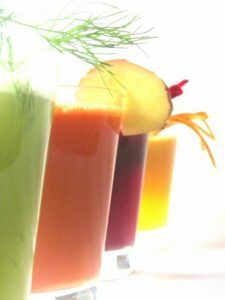 Juice fast plans have become a very hot topic in the diet will recently, especially in finding the best juice fast plans recipes for weight loss and detox. This is with good reason, as there are many health benefits derived from sticking strictly on a juice fast plan diet. Some of which are detoxification, coupled with weight loss resulting in a much leaner body. There are other benefits as well, for instance a rush of antioxidants, vitamins and minerals in the body which helps to prevent severe diseases such as cancer, diabetes as well as chronic heart diseases. This is best taken in the morning as part of a detoxification plan, and expels most of the toxins and wastes in your body, leaving you full of energy for the rest of the day. Blend all these together in a fast juicer, and pack it in a juice bottle ready to go. It is filled with all the daily nutrition that you need to sustain the day. There is a zesty tastes involved, and are especially nice taken on hot sunny days. The acidity is balance between sour and sweet, and gives very good results with regards to burning fat. You will feel a burst of energy, and a cooling effect on the body with this blend. This is a simpler option for those quick juice bursts that you would crave for throughout the day. It tastes exceptionally well, and can be taken with any meal throughout the day. This is recommended for people who live a tight busy schedule, but are still interested in following a strict juice plan, for the ingredients involve in blending this juice is very easy to prepare and obtain. This is one of the best blends if you have been up for late nights, and need a burst of energy for the following day. Like its name suggests, this combination should not be taken so often, preferably once every two days. This is because the detoxified of this particular blend is very strong. You may see yourself going to the toilet more often, however this is normal, and is good for your digestive system. Best taken during the afternoon, this blast of fruits is perfect for anyone to consume during working hours. Sometimes, being on a diet is not easy and we have cravings from time to time. Fruit Punch is one blend which allows is to stick to our diet but satisfy our cravings at the same time. The tastes are a wonderful balance of strong and sweet, and go well to satisfy cravings whenever you need it. These are the best juice fast recipes for weight loss available right now. Before attempting any strict diet, do consult a doctor or a professional physician, to be able to suit the diet towards your needs and goals.